Hi, I’m a long time member and first time poster, as the last Polo we had was pretty reliable. My wife recently ‘upgraded’ to a Polo 1.4 SE 2006 9N3. It’s a 5 door auto with electric windows in the front and these do not work. The guy we purchased it from said it’s probably a fuse, but tbh we were a bit too trusting and found other issues with the car which were concealed… Guess I’ll clock that up to experience. · The window switches on both sides light up, which I assume is a good sign. 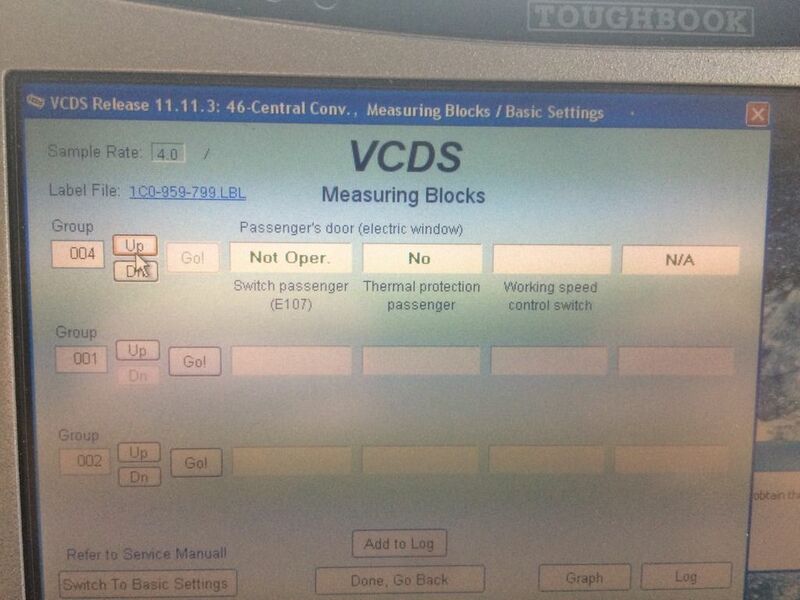 · Bought VAG COM and ran VCDS diagnostics, only fault is with heater recirculating flap, but nothing on windows or CCM. This is where I have a few questions. 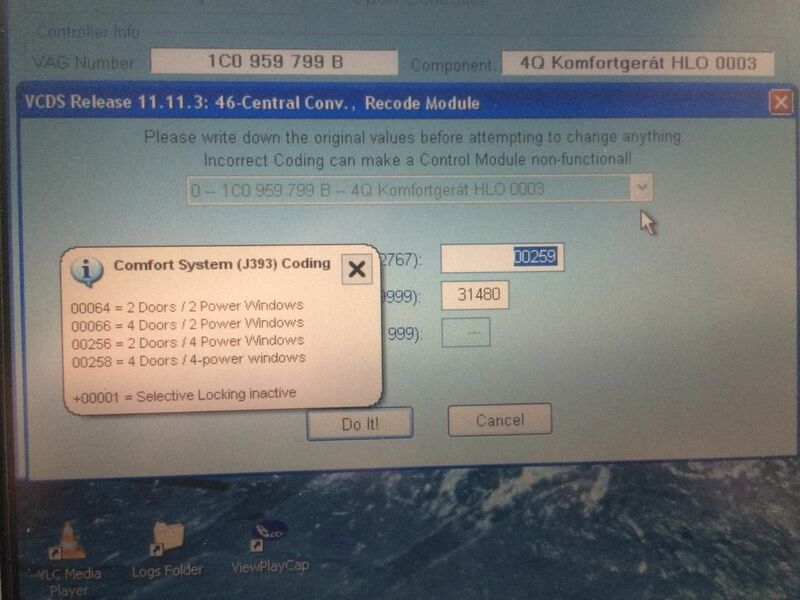 Looking at the coding for the comfort control (module 46), mine was set to 00018. 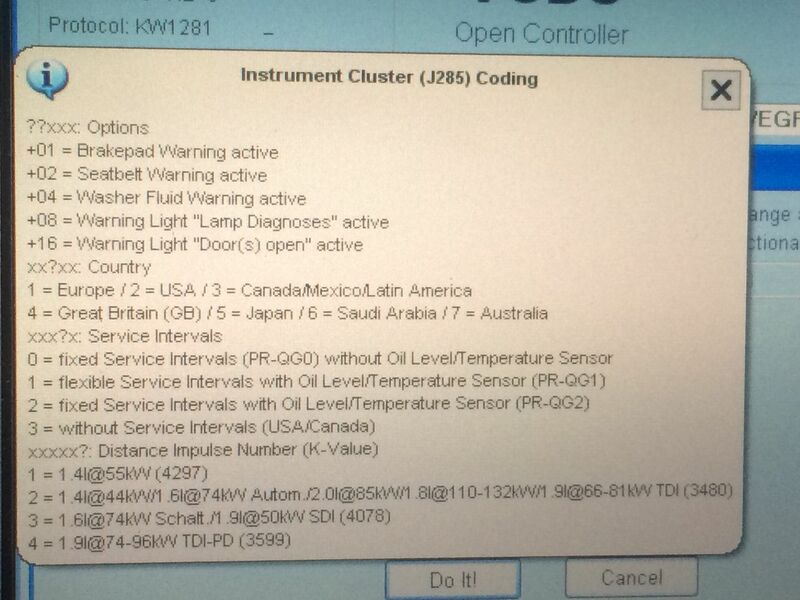 Notes: As of MY 2008 the Door Control Modules are now connected via LIN which results in different codings. The Coding is the Sum of the individual Options. Which to me suggests that it is 16 + 2, i.e. central locking without power windows. I changed the code to 00066, which is what I’d guess it should be as a 4 door with 2 power windows, but this had no effect, although it hasn’t produced an error either. 1. Can anybody point me in the right direction to a workshop manual and wiring diagram? 2. I’m used to simple window motors and this Polo has multiple connections to the motor and what appears to be an integrated control unit, what do all these wires do and which ones should be tested? 3. Does the driver’s door module control both sides? 4. How can I test this module? I don’t want to start buying parts and randomly changing bits without really understanding what the fault is; so any guidance you can provide to fault find and point me in the right direction would be much appreciated. Thanks for the wiring diagrams, these will be helpful. I did pull the boot off and check the wires and nothing was obviously amiss. If there was a broken wire, would this typically throw up an error that the controller can't communicate with the motor? 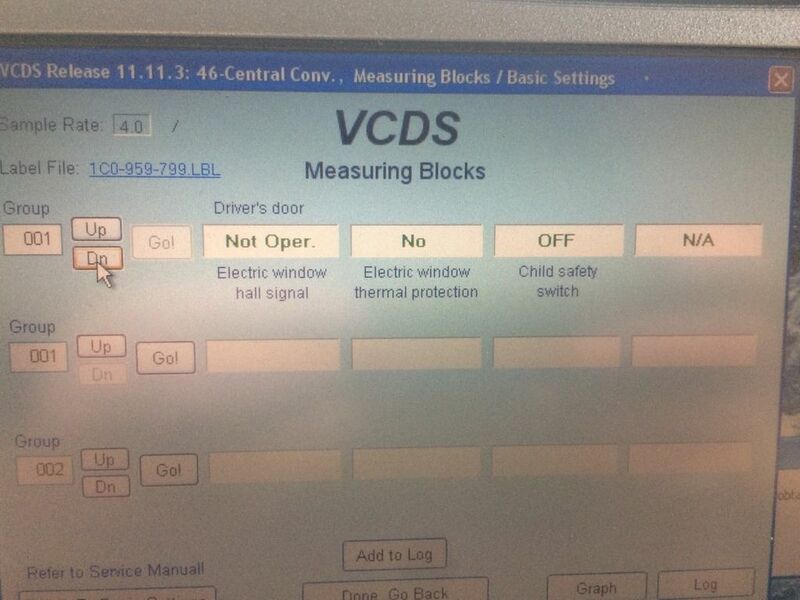 Also, if the driver side control unit is faulty, would this take out the passenger side too? What are your thoughts about the original CCM coding (00018)? As the windows haven't worked since we got the car, it's possible the CCM was replaced, or could this be an error from manufacture... or did I misinterpret the original coding to be incorrect? Do you have remote c/locking ? if you have it might be the car was delivered with manual c/locking and someone has replaced the CCM to incorporate the remote ?? As to the coding ? have you had a look on the dropdown menus in the options ? It does have remote C/L, but it's had 1 owner from new and don't seem to have changed anything or done much to the car at all. Which dropdown? I've only really seen the main coding screen and the options I listed above from VCDS. I did check but it seems Long Coding isn't applicable in this model. I was wondering if the CCM was ever changed and may not have been programmed correctly or even be the correct CCM, but I'm not sure how I could find this out? 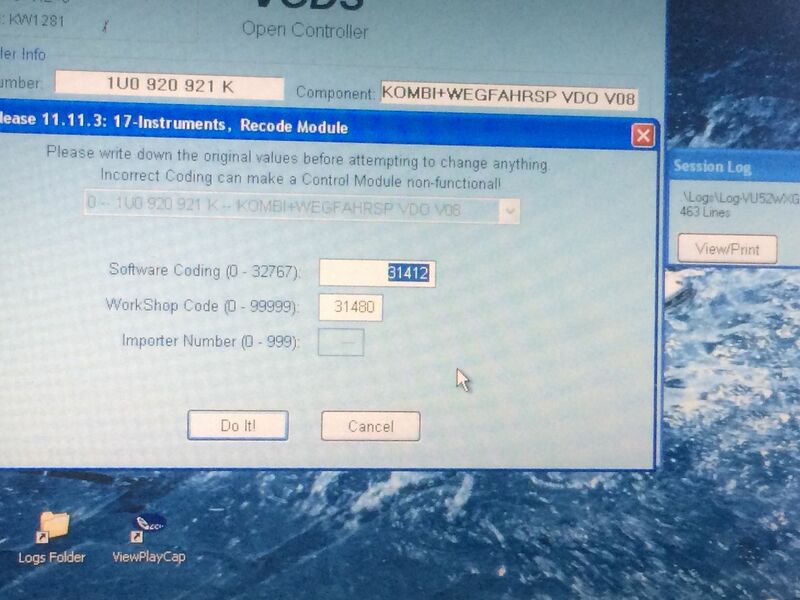 Thanks for clarifying, this is what I used to change the coding from 00018 to 00066, hopefully this is correct. I've checked the connections in the door by continuity testing the wires from the door plug to the motor, all seems fine. I'm guessing this is either a CCM or o/s 'master' motor/controller fault; my guess is if the n/s had failed it would only affect that side not both. Is there any test to verify if the CCM or controller in the motor is faulty without actually replacing them? I couldn't find anything in VCDS related to the windows at all, other than the stuff in module 46 CCM, which didn't test the windows. 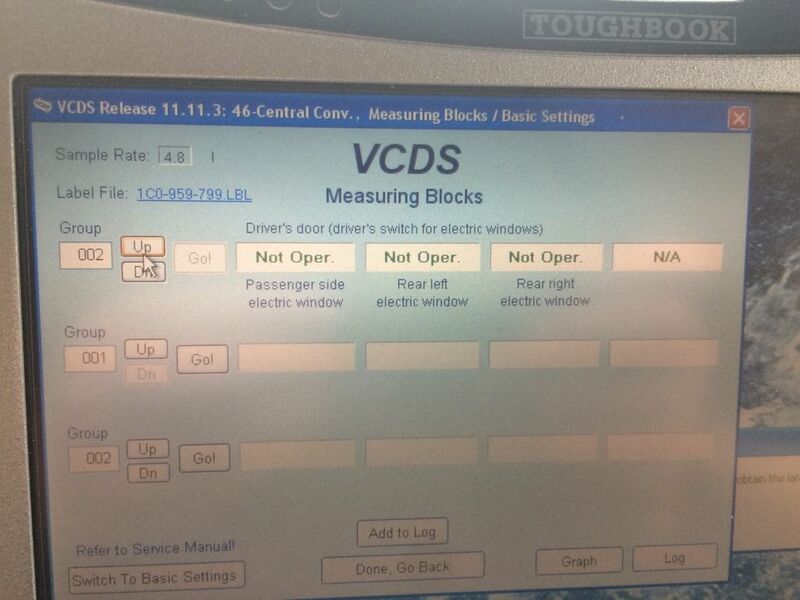 Can anybody guide me through using Measuring Blocks in VCDS to open and close the windows? Never tried to use them on the windows, I'd imagine it only gives you the voltages being applied to the motors ?? It seems to provide loads of info on the status of the door locks and has some fields for the window regulators, but on mine nothing happens with these. I'm guessing the status should change when a switch is pressed, but not sure. I've got to replace one of the regulators on my Octavia in the next day or two, I'll stick my VCDS on it afterwards and see what it comes up with, as it's a similar setup. This afternoon I opened the drivers door and tested all the wires going into the motor, all were fine. I pulled the fuses for both windows and when I put them back, the passenger side window worked, but only from the passenger side switch; drivers side still not working. After locking then opening the car, the passenger window ceases to work, until I pull the fuse and replace it, then it works again. The joys of electronic systems. Have you tried the technique of disconnecting the battery for a few minutes ? On another note, while debugging one has to be very specific. For example, when you say 'After locking then opening the car', you need to say 'After closing the driver's door and using the key to lock via the driver's door' or whatever the case may be. I haven't disconnected the battery, I could give that a try. The passenger side window works after removing and reinserting the fuse, until I lock and unlock the car using the remote on the key; then nothing again. I'm trying to work out if this could be the comfort control module (doubtful since everything else seems to work) or possibly the control module on the drivers door? Could be none of the above, but I'm running out of ideas at this point. What is the fuse number? Reseat the fuse, then lock the car by putting the key in the driver's door and locking. Then unlock the car using the key in the driver's door and try to open the window. moving the drivers switch the "Not Oper" changes to either "Man Down/up" or "Auto down/up"
Thanks for the measuring blocks data, this will be helpful. I did some more research and found the part number of my o/s motor is 6Y1959801, which showed up in a VW T5 forum and lot of people have experienced the same issues as the T5 has the same motor as the Polo. Everybody who replaced the o/s motor resolved the issue, but it appears to be the control module that's at fault. I'm going to replace the relay and capacitor on the control board and will report back. Is the relay also fixed to the control board ? If so, where are you getting the relay from ? Also, please put up a picture of these components on the control board.